Four years ago I bought this company because I believed in the quality of the work we could produce. Currently we have six dedicated painters who come to work not just because we compensate them well, but because they enjoy what they do. 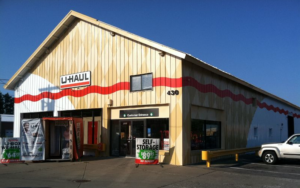 Our clients include Tops, Noco, U-Haul, and Fantasy Island. Our current objective is to hire a mid-level painter as well as someone more advanced who could possibly run a crew. Some contractors sell quantity, others sell quality. If you want to do fine work and be appreciated for it. Please consider applying.